Celebrate the warmth of the chilly winter season with the first-ever Fire & Ice Festival! This family-friendly event takes place on Bank Street between Wellington and Catherine Street on February 8 and 9 (11am to 11pm). Downtown Bank offers the unique experience of Fire & Ice: with lots of businesses to visit and warm up in, you can enjoy the festivities amidst the February cold. 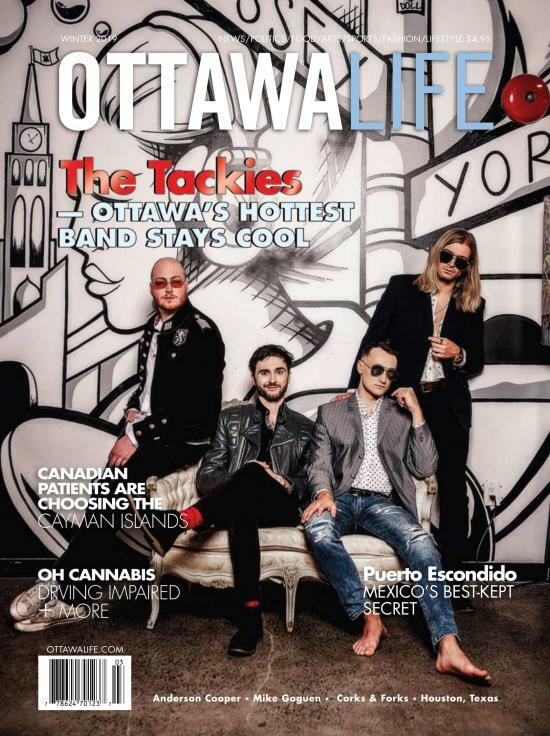 Shop, tour, and eat at over 400 businesses on Bank Street. Many shops will be holding special promotions all weekend, so make sure to stop in and check it out! Stroked Ego, right across from the Silent Disco, has a FREE hot chocolate bar, as well as handing out $10 gift cards to ALL customers that come in between the hours of 12-3pm. Along the sidewalk, you might bump into one of the fourteen interactive ice sculptures dotting the street. 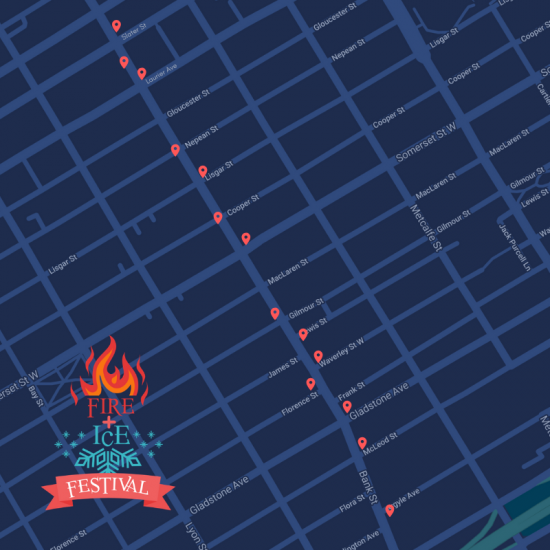 You’re encouraged to snap selfies with them and post them on social media--use the hashtags #fireandice and #fibankstreet and you could win prizes for your posts! Don’t be surprised if you catch a glimpse of the Fire & Ice window painter making her way around! She’s taking to the business windows and covering them in fire-and-ice themed scenes. Festival entertainment will be provided by Yoshi Juggles and Orbital Talent, with an array of performances and acts to wow you. On both Friday and Saturday evenings, you can head over to Snider Plaza (150-162 Bank St, between Slater St and Laurier Ave W) to end the festivities with a huge dance party you hear through headsets! Downtown Bank, in partnership with Quiet Events and Flora Hall Brewery, presents a Silent Disco on both nights of the festival. This is a ticketed event and the limited spots will sell out quickly--make sure to get yours now! Tickets are $5-10 and can be purchased through Eventbrite. 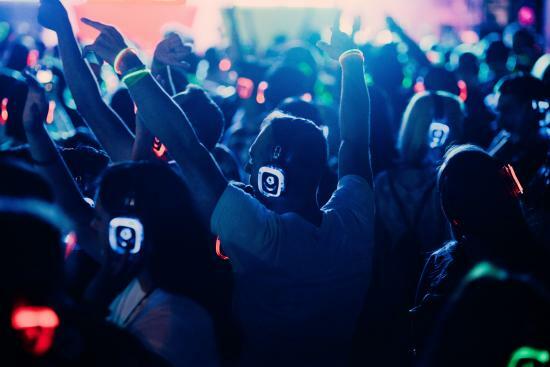 Your ticket includes headset rentals and three hours of Silent Disco dancing! Be sure to bring a piece of ID and a credit or debit card to sign out the headsets. Doors open at 7:15pm, when you can start signing out headsets. The two DJs start spinning their tunes at 8pm: one playing fun throwbacks from the 70’s, 80’s and 90’s and the other playing today’s top 40 hits and EDM tracks. The headsets will change colours depending on which DJ’s station you tune in to, letting others know which tunes you’re currently enjoying. The Silent Disco is open to everyone, though drinks are available for purchase during the disco. Flora Hall Brewery will be running a bar showcasing some of their craft beers and beverages, including a special Blue Ice cocktail for the festival.